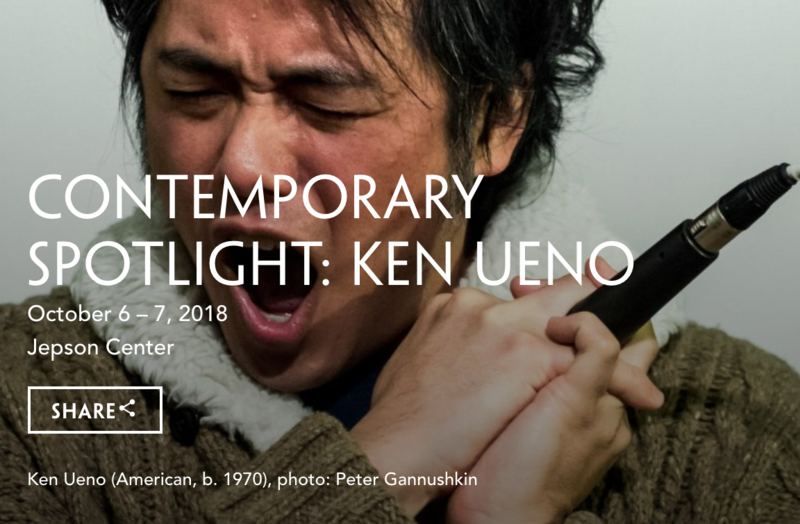 Telfair Museums presents a Contemporary Spotlight commission with American composer, vocalist, and improvisor Ken Ueno (American, b. 1970) off-site at the Cluskey Embankment Stores, or “Cluskey Vaults” in Historic Downtown, Savannah, GA.
Ken Ueno will compose, direct, and inhabit two site-specific performances entitled Ghost Vault Triptych on October 6 and 7, 2018. Ueno is interested in composing what he calls both person-specific and site-specific music—intended for, and inspired by, one specific person, or narrative, or prompt. At the Cluskey Embankment Stores, Ueno will utilize the hollow vaulted spaces as resonant chambers, effectively turning the Embankment Stores into a large instrument. The resulting performance, Ueno’s vocal subtones and multiphonics alongside long-time collaborator and professional clarinetist, Dr. Gregory Oakes (Professor of Music, Iowa State University), will bring forth a dialog within the architecture, accompanied by special lighting effects. For these nighttime performances, Ueno will focus on the three larger vaults. The central vault will be installed with an audio installation which will consist of 20 stand-alone speakers for which Ueno will compose a 20-channel composition, a ghostly proxy of his vocalizations. Ueno will perform complementary pieces in the annexing vaults on either side of the sound installation. The pre-recorded nature of the sound installation will be experienced in counterpoint to the live performances. Both performances begin at 8pm, rain or shine, and are free and open to the public. Note: There is no seating at the Cluskey Embankment Stores, please plan accordingly to stand or bring a portable chair. Technical assistance provided by Jason Cress, supported by UC Berkeley’s Center for New Music and Audio Technologies (CNMAT). Videography: Molly Hayden with Tremble Productions.